Your new client says her physiatrist wants her to work out less. Your spinning class regular asks whether he should see an orthopedic or osteopathic physician for his knee pain. A gym member wants to know if a chiropractor or a sports-medicine doctor is better for back injuries. And your regular trainees are all abuzz about the new bariatrics office opening down the street. You know fitness, but do you understand the medical specialties these individuals are referring to? Being well versed in the roles of these different types of doctors—chiropractors, osteopathic physicians, physiatrists, orthopedists, sports-medicine physicians and bariatricians—will help you make effective client referrals and expand your professional networking opportunities. Keep these six doctors in mind as you assist your clients in overcoming injuries and achieving their best. Two of these terms—chiropractor and osteopathic physician—refer to types of doctors, albeit with differing educations. Chiropractors treat musculoskeletal conditions related to the nerves, muscles, ligaments and joints of the spine and extremities. They attend four to five years of rigorous post-graduate chiropractic education (distinct from medical school). How they help: Chiropractors use their hands or instruments to adjust (i.e., manipulate) joints, particularly the spine. They may also counsel patients on positive eating and exercise habits, explains Scott Bautch, D.C., a Wausau, Wisc.-based spokesperson for the American Chiropractic Association. Examples of conditions a chiropractor may see range from tendonitis and headaches to dysfunctions of the ankle, says Bautch. Of special interest: Bautch notes that while a D.C. typically has a limited education in the pharmacological treatment of diseases, an M.D. may have less of a background in nutrition-specific approaches. “The two professions can complement each other well because of their differences in education,” he says. “D.O.s and M.D.s [i.e., medical doctors] are the only two groups of physicians in the United States fully licensed to prescribe medication and practice in all medical specialty areas, including surgery,” says Nicholas Parise, D.O., M.S., Director of Osteopathic Medical Education at Swedish Covenant Hospital in Chicago, Ill. Like M.D.s, D.O.s are fully qualified, comprehensive physicians who attend four years of medical school followed by additional residency training. However, explains Parise, in addition to their general medical training, D.O.s also learn osteopathic manipulative treatment (OMT): manual therapy techniques that include stretching, gentle pressure and resistance placed on muscles and joints. How they help: Like an M.D., a D.O. may be a general or specialist practitioner, and may choose to concentrate in a nonmusculoskeletal-focused specialty, such as radiology or cardiology, Parise notes. Of special interest: The term “osteopath” means different things in different parts of the world. For example, in the United Kingdom or Australia an osteopath has a non-physician healthcare role (much like a physical therapist). However, in the U.S., the term “osteopath” refers to a medically qualified doctor. Thus, American D.O.s prefer the term “osteopathic physician” over “osteopath” to clarify their distinct medical training. Specialist M.D.s or D.O.s that you may encounter include physiatrists, orthopedists, sports-medicine doctors and bariatric physicians. Physiatry—also termed physical medicine and rehabilitation—focuses on the non-surgical treatment of conditions related to nerves, muscles, bones or the brain. Recognized subspecialties include sports medicine, spinal cord injury medicine and pain medicine. How they help: “Physiatrists are an ideal first-line resource in dealing with musculoskeletal problems,” says Bruce Becker, M.D., M.S., the Spokane, Wash.-based editor of The Physiatrist, the official newsletter of the American Academy of Physical Medicine and Rehabilitation. Physiatrists are expert diagnosticians who may use rehabilitative treatments, medications and a team approach, explains Becker. “Physiatrists are used to leading a team of specialists such as physical therapists, personal trainers, occupational therapists and others.” They may deal with anything from traumatic brain injury to lower-back pain to preventative care for elite athletes. Orthopedists are trained to both surgically and non-surgically treat musculoskeletal problems; the terms “orthopedist” and “orthopedic surgeon” are interchangeable. How they help: “Orthopedic surgeons see patients with a myriad of musculoskeletal problems—the majority of which are treatable with non-operative intervention (for example, with physical therapy, home exercises, etc. ),” says William Levine, M.D., a professor of orthopedic surgery at Columbia University Medical Center in New York City and spokesperson for the American Academy of Orthopedic Surgeons. Surgical orthopedic treatments include arthroscopy, joint replacement and soft tissue repair (as in the case of torn tendons or ligaments). Sports-medicine physicians treat sport- and exercise-related injuries for all athlete types and levels, from the professional athlete to the weekend warrior to the construction worker who hurts his shoulder lifting weights, says David Geier, M.D., director of the Medical University of South Carolina’s sports-medicine program in Charleston, S.C.
Sports medicine is a recognized subspecialty (i.e., area of additional focus within an existing specialty) of several different fields, including emergency medicine, family medicine, physiatry and orthopedics. Depending on the physician’s background, he or she may concentrate on either surgical or non-surgical treatments. 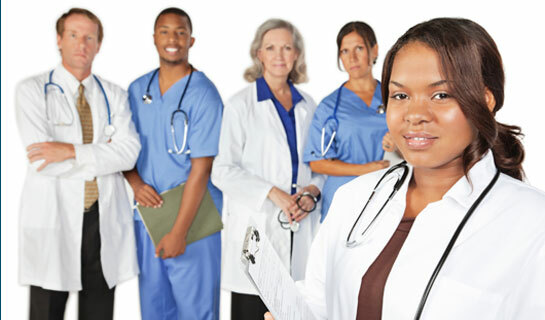 In the United States, a doctor is required to be licensed by the state in which he or she practices. However, board certification is voluntary and not legally required; it indicates an M.D. or D.O. has met additional formal requirements in a specific area of professional expertise. After becoming board certified in a specialty such as orthopedics or physiatry, a physician may choose to train in a recognized subspecialty such as sports medicine. Such accreditations are awarded through several organizations, including the American Board of Medical Specialties (ABMS) and the American Osteopathic Association (AOA). Board certification in bariatrics is available through the American Board of Bariatric Medicine, an organization that is working toward broader ABMS recognition. “As a relatively new field in medicine, we are working as a specialty to develop increasingly formal advanced-training opportunities,” notes Horn. The prevalence of chiropractic specialties is also on the rise. Offered as specialist “diplomates,” these include chiropractic nutrition, chiropractic orthopedics and chiropractic sports medicine. How they help: Sports-medicine doctors may work at clinics, or with sports teams covering professional or amateur games, Geier explains. Thus, a sports-medicine doctor's day may range from treating on-the-field injuries during a match, to liaising with physical therapists about the rehabilitation of a patient’s long-term knee issue. Of special interest: Not all sports-medicine physicians are board certified (nor are they required to be; see “Specialization and Board Certification” for a more detailed discussion). For example, Geier notes that a general orthopedist who also treats athletes may refer to him- or herself as a sports-medicine physician using experience or simple marketing to do so. Thus the term "sports medicine" may refer to a board-certified subspecialty or to an area of focus and interest within a physician’s existing practice. Bariatrics focuses on obesity and its related co-morbidities such as diabetes, arthritis and coronary artery disease. “While weight-loss surgery is referred to as bariatric surgery, bariatricians are typically non-surgeons who utilize many different tools to help manage an individual’s weight, metabolic changes and health,” notes Deborah Horn, D.O., M.S., M.P.H., of Houston, Texas. Horn sits on the board of directors of the American Society of Bariatric Physicians and is an ACE-certified Group Fitness Instructor. How they help: Bariatricians can help guide personal trainers in developing nutrition and exercise programs for overweight clients while monitoring health markers related to weight loss, such as blood glucose or lipids, Horn explains. They may also treat medical barriers to weight loss such as musculoskeletal issues or hyperthyroidism. Of special interest: “I encourage personal trainers to call the bariatricians in their area and ask to meet briefly and determine if it is a good [professional and referral] match,” says Horn. She adds that there are no weight or body mass index limitations related to seeing an obesity medicine specialist.